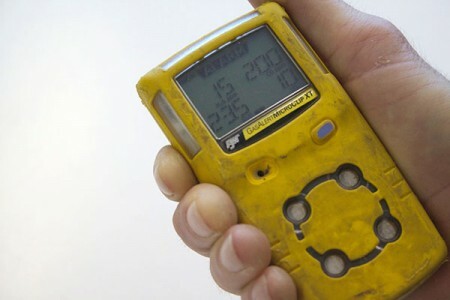 Designed for workers who may need to monitor potentially hazardous atmospheres in the workplace. Pinnacle run standalone Gas Test Atmospheres courses for groups who require this. Please contact us for an obligation free quote. 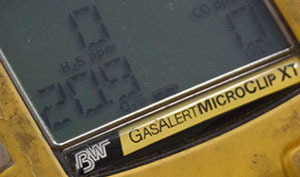 Alternatively, this unit of competency can be gained by joining one of our weekly Gas Test and Permit Issuer courses. Students who are deemed competent will receive a Statement of Attainment recognised under the Australian Qualifications Framework. This certification is nationally recognised. The Statement is issued by Pinnacle Height Safety (RTO 40496). Areas which contain dangerous goods. How to determine if the atmosphere is safe to work in. Exposure limits: TWA’s, STEL’s, IDLH’s etc. 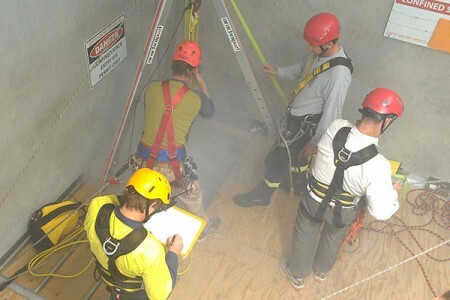 Training by highly experienced Emergency Services instructors. Plenty of hands on practical training with gas detectors. Please note: there are specific language, literacy and numeracy requirements of the unit in this course. This unit requires the ability to read and interpret a meter and then communicate the conclusions. Writing is required to the level of completing required workplace reports/forms. Numeracy is required to the level of being able to read the instrument and interpret the results as being safe/not safe and so determine the required actions. Tanya was an amazing trainer - her knowledge was outstanding on the subject matter. Tanya was patient and helpful with every student. Tanya made every student relaxed and supported them through the course, no matter how simple or complicated the question. Tanya is an absolute credit to your company. The [TAE Upgrade] programme itself was exactly as I expected and was fully in-line with industry.